Avira Rescue System is a free bootable malware scanner for PC, it can be used to boot up into Windows in case of a virus infection. Rescue System can be downloaded as an ISO image file, which you can then burn to a CD or DVD or you can create a bootable USB flash drive and boot the utility that way. You basically get a complete OS with which you can scan your PC for viruses. The very first step of the setup of this free bootable malware scanner asks you to select a language and after that, you need to click on the Start Avira Rescue system option in order to start booting the utility. 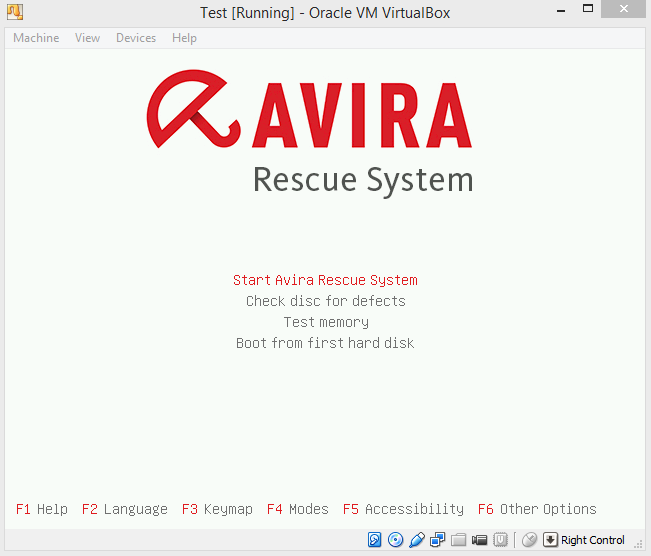 Like we already mentioned, Rescue System is actually a full-fledged Linux system on top of which Avira software was installed. Avira Rescue System images that you download are updated daily, so that when you download them, you’re always gonna be using the very latest malware definitions. This is useful for PCs that don’t have access to the internet. Use either ISO Burner or Unetbootin and create a bootable CD/DVD or USB flash drive from where you’re gonna have to boot your computer. To do this, you’re gonna have to press repeatedly one of the function keys or the Del key, it depends on your PC make and model. Read the instructions messages that show up as the computer starts. What you see on the image above is just the malware scanner, but an entire system, based on Linux, loads up when you decide to boot your computer off of this free bootable malware scanner. Use the controls at the top in order to tweak and configure everything, check for updates, and of course start the virus scan. This is the actual default interface screen where you can see lots of additional programs in the left launch bar, Firefox, file browser, partition manager. Rescue system is based off of Ubuntu. Those who are familiar to it can see it’s Unity interface on the image above. 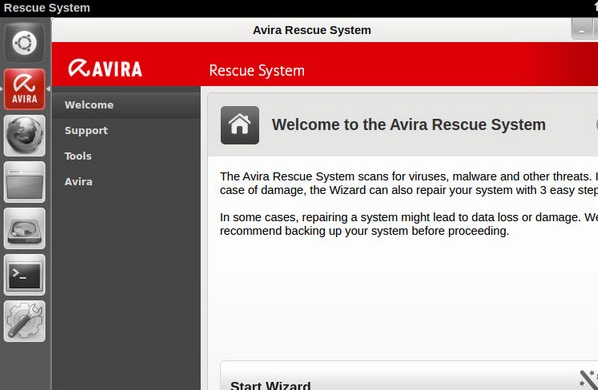 Avira Rescue System is a great bootable malware scanner, which comes with a lot of additional tools, which you can use to scan your computer for viruses, and other types of malware also. File recovery from inaccessible systems is also possible using the built-in file manager. If you have an infection that’s so bad that the system won’t boot at all, then this utility is just the thing you need. Get it free.